The strong economy and efficient organization of the Egyptians cause relatively cheap unit production, when it comes to small units. Their strength lies in their numbers. Tier 1 is an extremely cheap defensive unit, that will have trouble in an evenly numbered fight but they tend to bring their friends! Tier 2 is entirely different: Unusually expensive and rather well trained in defense and attack, this unit will be the backbone of many Egyptian armies. They can carry a lot with them so what you will spend on training them, might just come back to you as loot! Tier 3 is unusually weak against attackers on horseback but packs a punch when attacking the enemy – they wont be a popular sight for your opponents. Tier 4 is the Egyptians‘ Scout – not as fast as the scouting riders of the Huns but they will get the job done. 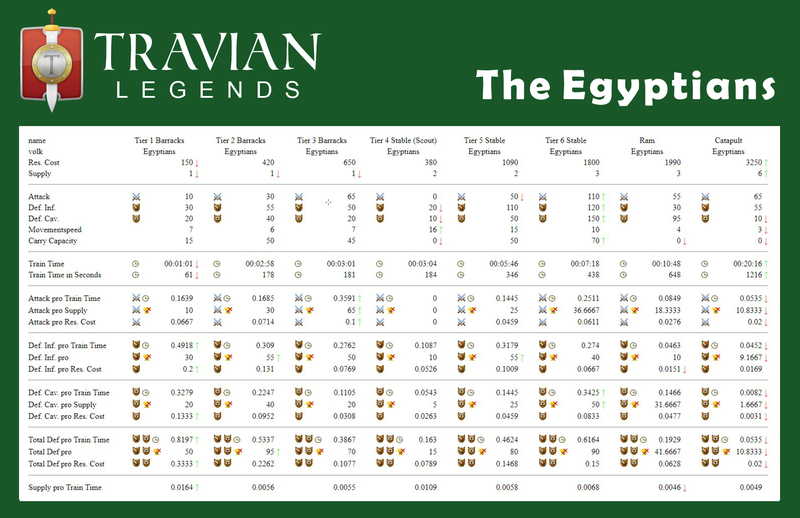 Tier 5 is going to be the most important unit of an Egyptian’1s defense. Only half as expensive as Tier 6 and almost as quick as a Scout, they will rush to the aid of villages under attack. Tier 6 on the other hand might burn a hole in your wallet but your enemy will never think you invested in the wrong unit. The defensive skills of these riders will even stop the wildest Huns in their attack but don’t be fooled: Tier 6‘s attacks will also be a force to reckon with. As you might expect, if an Egyptian Army is at your doors and intents to stay: they might bring Rams and Catapults with them – but not as many as other armies, since Egyptian builders are expensive and charge a lot for their Catapults. ← DEV DIARY #4 – Where did the name “Fire and Sand” come from?